SAN FRANCISCO–For her two decades of outstanding dedication and leadership of the Bulletin of the Seismological Society of America (BSSA), the Seismological Society of America (SSA) will present Diane I. Doser with its 2016 Distinguished Service Award. The award will be presented at the SSA's Annual Meeting held 18-20 April 2017 in Denver, Colorado. 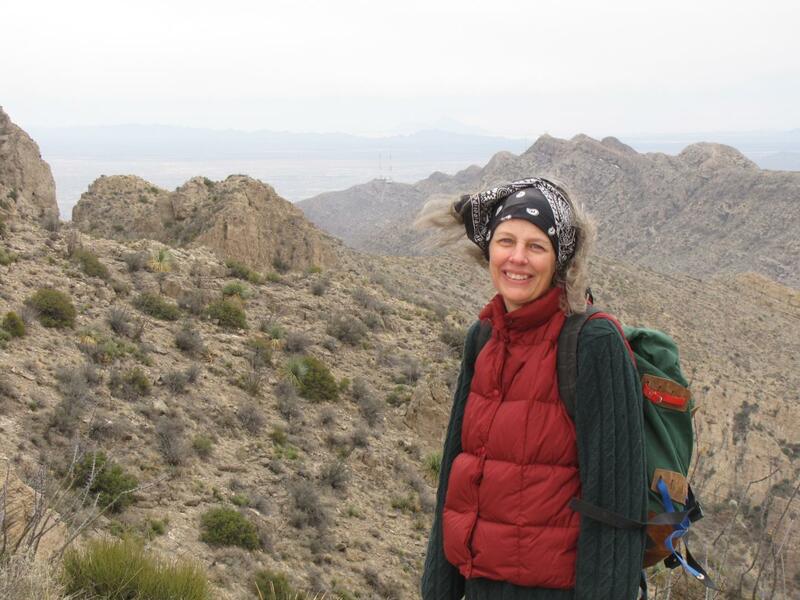 Doser is the director of the Kidd Memorial Seismic Observatory and professor in the department of geological sciences at the University of Texas at El Paso. She served as BSSA Associate Editor from 1996 to 2010, becoming Editor-in-Chief of the journal in 2010. She will complete her service with BSSA in June 2016. As Editor-in-Chief, Doser appoints and manages a 27-member international board of associate editors through 350 yearly submissions to the journal, and oversees the production of the 110-year-old journal's online and print editions. "I am greatly honored to receive the 2016 Distinguished Service to SSA Award. The Seismological Society of America was the first professional society I joined as a student. I have always felt a strong affiliation with the Society and its focus on understanding earthquakes to benefit humankind," Doser said. "Serving as editor-in-chief of the Bulletin for nearly six years has been a wonderful opportunity for me to help advance the Society's purpose and values. I am grateful to all the associate editors, reviewers and staff who have helped me to insure the Bulletin remains the premier journal of earthquake related research." In their letter nominating Doser for the award, past SSA president Ruth Harris and President-elect Andrew Michael commended Doser's high scientific standards as BSSA editor. "It is through service to the Society, as exemplified by the dedication of Diane to our journal, that we are able to achieve publication longevity and excellence," they wrote. During her tenure, Doser helped initiate and produce two special print issues of BSSA, on the 2011 Tohoku earthquake and tsunami, published in May 2013, and the 2012 Haida Gwaii and 2013 Craig earthquakes, published in May 2015. She also led the publication of two "virtual" online special issues of collections of previously published papers: a January 2014 publication of articles to commemorate the 50th anniversary of the 1964 Great Alaska Earthquake and a collection published in April 2015 of BSSA articles on the seismology of the region surrounding the 2015 Gorhka earthquake in Nepal. The second collection was quickly assembled to give researchers easier access to published science from the region in the wake of the Nepal quake. As another service to SSA members, in December 2013 Doser led BSSA's implementation of Publish-Ahead-of-Print (PAP) arrangements, to publish journal articles online after completion of the production process but before the full issue of the journal is compiled. Doser graduated with a B.S. in applied geophysics from Michigan Technological University in 1978, and received her M.S. (1980) and Ph.D. (1984) in geophysics from the University of Utah. Her current research centers on studies of earthquakes in south-central, southeast and interior Alaska, helping to produce seismic hazard maps for the Alaska region, as well as the application of geophysical techniques to environmental and engineering issues related to watershed studies and saline and freshwater aquifers. The Distinguished Service to SSA Award honors individuals who have made outstanding contributions to the work of the Seismological Society of America. This award is presented at the annual meeting following the year of the award.